The Tanzanian minister added that the Nile was the lifeblood of all Nile Basin countries, and that its use is regulated through international agreements that organise the use of water, affirming his country’s support of negotiations between Nile Basin Countries. The talks covered a number of regional issues of bilateral interest, including the latest round of GERD negotiations and Shoukry’s recent visit to Ethiopia, as well as the instability in South Sudan, the Democratic Republic of Congo, and several other African countries. 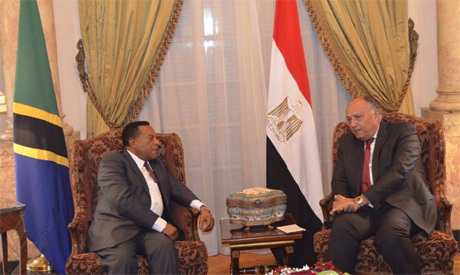 The African duo’s talks come ahead of the conclusion of the third round of joint Egyptian-Tanzanian talks on strengthening bilateral cooperation. The committee meetings scheduled for Wednesday will be attended by officials from the two countries’ ministries of agriculture, irrigation, water resources, electricity, trade, investment, health and tourism.